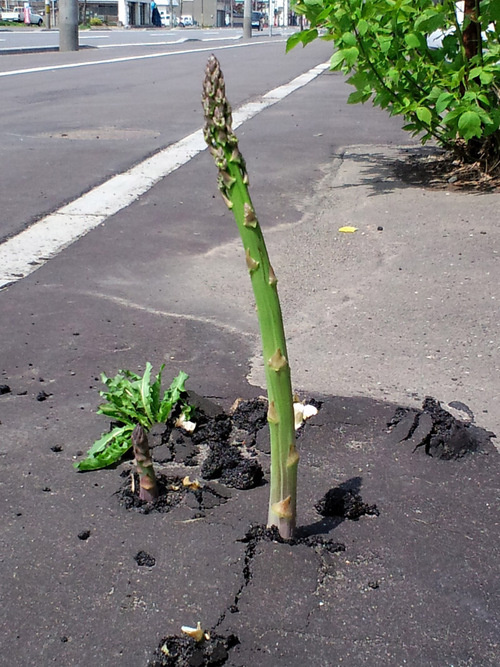 For your late Friday perusal, via Gawker, apparently rogue asparagus are causing havoc on the streets in Hokkaido, Japan. I’ll leave the punchlines to you (this is almost like a photographic version of the New Yorker cartoon contest). This entry was posted on Friday, May 21st, 2010 at 1:09 pm	and is filed under Roads, Traffic Engineering. You can follow any responses to this entry through the RSS 2.0 feed. Both comments and pings are currently closed.